After a series of lackluster vintages, Bordeaux comes through with shining colors. The best 2014s offer exquisite aromatics, finely sculpted fruit and polished, silky tannins, all signatures of a late-ripening year. 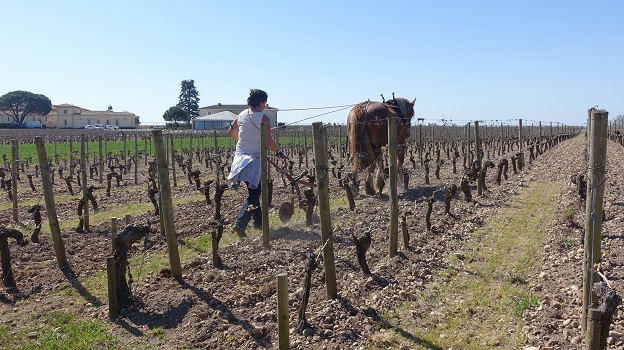 There is little doubt 2014 is the finest Bordeaux vintage since 2010. Over the next week or so we will present our coverage of new releases, followed by a selection of Vintage Highlights and Les Découvertes - Under the Radar Gems and Sleepers. 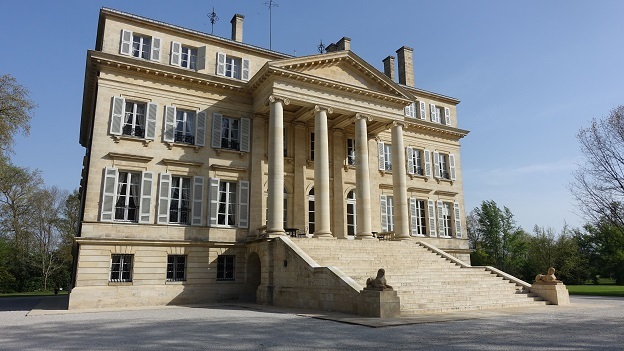 After a brutal 2011, 2012 and 2013, château owners were hoping to a return of the glory days of 2009 and 2010. 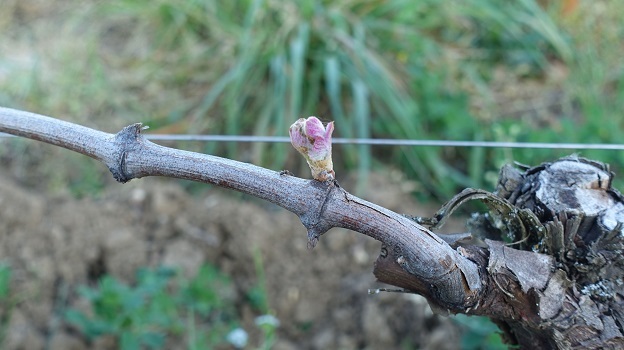 The growing season started with an unseasonably warm yet rainy winter that restored hydric deficits in vineyards but also caused some delay in getting into the fields. Budbreak was first seen in late March, a week to ten days early relative to long-term historical averages. Cool weather at the beginning of May delayed the timing of flowering from initial projections. Heavy rain and hail in some spots, notably in St. Estèphe and Pauillac, were also an issue at the end of the month. A warm start of June was a big positive for flowering, which at most properties was quite even, especially for Cabernet Sauvignon, Cabernet Franc and later-maturing Merlots. At this point, the vines had largely made up for their early start and timing was closer to normal parameters. The end of June and July saw above average rainfall, which among other things encouraged vegetative growth at a time when it is generally accepted that a plant's resources are ideally spent ripening fruit (through lack of water) than growing the canopy. Veraison, the period where grapes change from green to black, started towards the end of July, but then came to a halt because the plants were not stressed enough. That in turn led to a condition in which bunches, sometimes on the exact same plant, presented very different stages of maturation. Diligent producers were forced to intervene and drop all of the green bunches in order to eliminate under-ripe fruit that would have been practically impossible to identify once the grapes changed color. Temperatures dropped to well below average in August, the most critical period for ripening, while mildew pressure grew in the vineyards, requiring considerable attention. The vines finally completed veraison towards the end of August, but things weren't looking particularly promising. Then, something unexpected happened. A blast of unseasonably warm weather hit Bordeaux. It was one of the hottest Septembers on record, drawing comparisons with years such as 1961 and 1921. The Indian summer stretched into October, with dry sunny conditions interrupted by only brief spells of rain. The dry heat concentrated the grapes and took the plants all the way through to full ripeness while maintaining good levels of acidity. Because days are shorter and light more gentle in September than in August, ripening was slow and gradual, leading up to harvest that at most properties took place between mid-September and mid-October. One of the most common refrains I heard in Bordeaux was that the late-ripening conditions were more favorable for Cabernet Sauvignon than Merlot because Cabernet had greater time to benefit from the dramatically improved weather of September and October. Therefore, that logic says, the Left Bank was favored over the Right Bank, while the north Médoc was favored over the south, where rain in August was greater. In my opinion, that is an overly simplified view of things. Ultimately, the success of 2014 comes down to the quality of specific sites, in particular with regards to drainage, and the ability of winemakers to adapt their approach to the personality, size and structure of the year. In other words, quality is less consistent than in truly great years, but beautiful wines are found in all of Bordeaux’s appellations, although Haut-Médoc, St. Estèphe, Pauillac and Pessac-Léognan appear to be particularly strong. Among the less well-known appellations, I found quite a bit to like in Fronsac. Two thousand fourteen is also a very interesting vintage for Bordeaux’s white wines, both dry and sweet. Humidity and cool temperatures in April lowered potential yields for the early-ripening white varieties, while hot weather in September concentrated the fruit and caused sunburn in some spots. As a result, the 2014 dry whites are unusually rich and textured, yet also maintain good acidity. I tasted quite a few whites that show an almost phenolic-like intensity. Average quality is very high. The dry Indian summer was much less favorable for the development of botryitis for the sweet wines. A number of growers I spoke with reported doing their first passes during the harvest and picking dried grapes with no rot. Rain arrived in early October, which allowed rot to develop in the parcels that were saved for last. As a result, the 2014 sweet wines present a highly appealing combination of floral-infused freshness from the early picks and the textural richness and body obtained at the end of the season, when botryitis had finally developed. The 2014 sweet wines are medium in body, with lovely aromatic top notes and less oiliness than is common in years where botryitis is more widespread. Given the malaise that affects the sales of Sauternes and other dessert wines, the moderately sweet style of the year could turn out to be a positive, as the wines are quite approachable and attractive, even at this early stage. Tasted from barrel, the 2014s present exquisite aromatics, super-finessed, silky tannins and finely sculpted fruit, all signatures of a late-ripening year. It is vintage of superb freshness. The best 2014s are incredibly persistent, with shapes and textures that are all about length and less about sheer volume. The 2014s can be grouped into three basic categories. 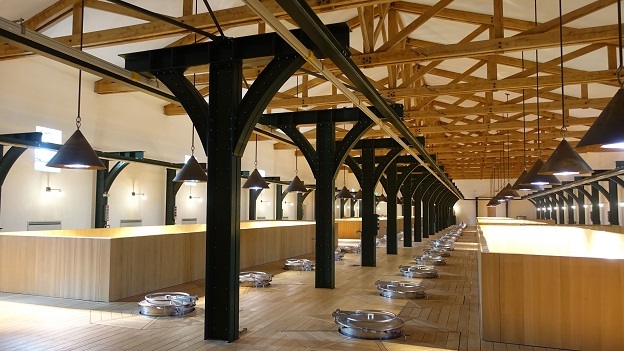 Many wines that are usually quite structured and powerful are remarkably restrained in 2014, including Latour, Pavie, Valandraud and Montrose, to name just a few. A second set of wines that are often built on finesse are exceptionally beautiful in 2014. Specifically, I am thinking about Vieux Château Certan, Clos Fourtet and Pontet-Canet, all of which are exquisite and present Burgundian-inflected shades of nuance. 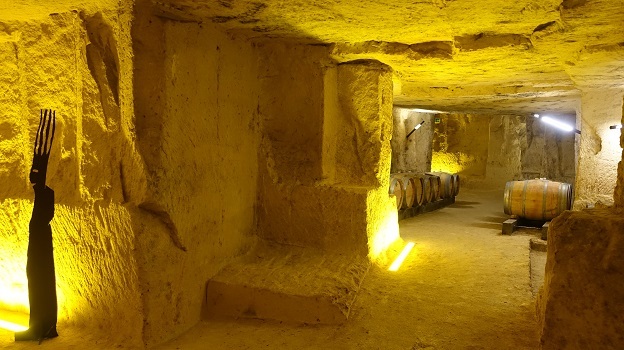 The last group is perhaps the most intriguing, as there are a number of 2014s that are unctuous, with a real sensation of glycerin and overall textural richness, a quality Calon-Ségur, Ormes de Pez and Ducru Beaucaillou all have in common. For these wines and others like Haut-Brion, which is perhaps more classically austere than the three wines mentioned above, alcohol levels are on the higher side of things, yet the wines retain exceptional balance. One of the most intriguing aspects of the 2014s is that the tannins are so well integrated. At many properties, the tannin readings are in line with 2010, but the wines don’t taste that way at all because the fruit is so sweet and textured that the tannins are nearly buried. So, what do the 2014s lack, you might ask? One of the attributes all great wines and vintages share is an element of visceral thrill that is hard to capture with words, but it is a sort of emotional high that is present from wine to wine and estate to estate. With a few exceptions, 2014 falls short of that lofty status, but not by much. There is no question 2014 is a better vintage across the board than 2013, 2012 and 2011, and I say that having just tasted a wide range of 2012s and 2011s from bottle. At the same time, 2014 is not as consistently brilliant as either 2010 or 2009, but in my view, that is a good thing. Highly touted, ‘vintage of the century’ type years lead to almost unrealistically high expectations from consumers, often exorbitant prices, and an overall climate of speculation. Two thousand fourteen, on the other hand, is a fabulous vintage for consumers who actually buy wines to drink them because there is not going to be a lot of hype. 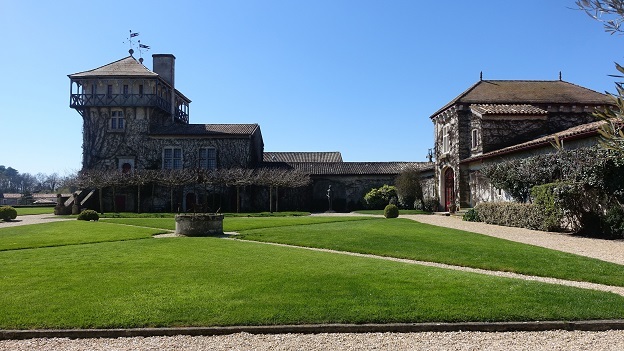 In that sense, 2014 is an ideal vintage for the consumer, and also for the trade, which, starting with the châteaux, has now been presented with the perfect vintage with which to regain the trust and appreciation of long-time customers who come from a period of massive disillusionment caused by the last few en primeur campaigns. Lastly, for US buyers, the stronger dollar should make many wines much more appealing than they have been in years, assuming release prices are held in check. Over the last few years, a loud chorus has formed to decry the death of the en primeur system. En primeur is very simple. Château owners want cash, so they sell their production forward two years, before the current vintage has been bottled and shipped. The end buyer is willing to finance the châteaux, but in return wants to pay less for something today than it will be worth in the future. It is that simple. The success of an en primeur campaign depends on three factors: 1) the overall health of the global economy, 2) a vintage of sufficient quality to be worth buying in advance and 3) price. That’s it. So, is a system that has worked so well for hundreds of years broken? In my view, the answer is an emphatic ‘no.’ For the 2014 campaign it will all come down to price. If château owners can’t sell their wine en primeur all they need to do is look in the mirror for the reason why. In any region, tasting from barrel is both art and science. Nowhere is that more true than in Bordeaux, where the wines are presented for evaluation at just about six months after harvest. Barrel samples tend to display some level of variation for many reasons including when and how the samples were prepared, how they were transported and overall climatic conditions when tasted. For those reasons, I tasted many of the wines in this article several times. Barrel ratings are always notated in parentheses to indicate that what I am tasting is not a finished product, but rather a wine at a very early stage of its life. 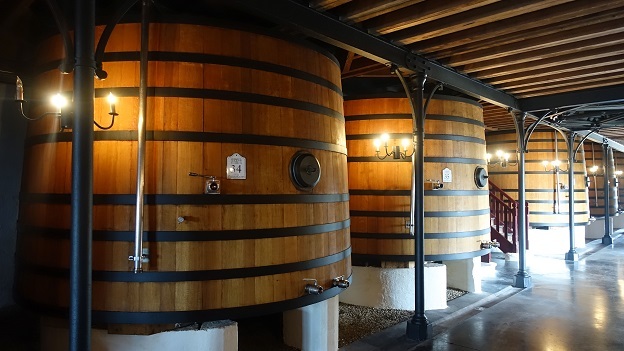 All of the wines in this article were tasted during the middle two weeks of April, a period that was characterized by mostly sunny skies, warm days and high pressure, all conditions that are widely considered as ideal for tasting young wines from barrel.